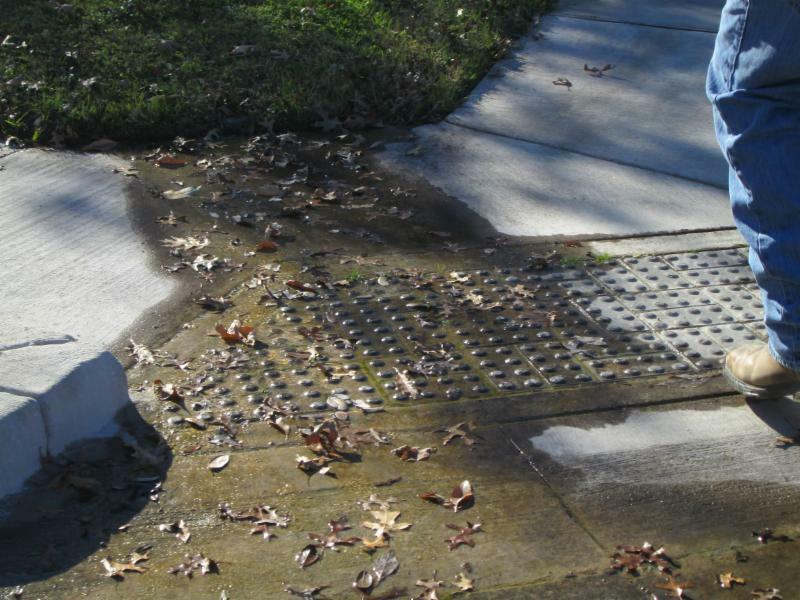 One of the guidelines that seem to be misunderstood is for operable parts. 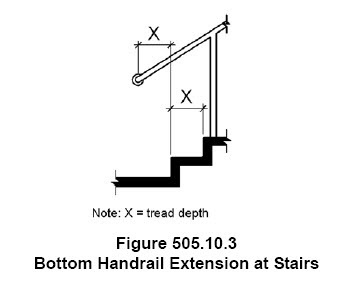 This guideline requires that an accessible operable part have a mechanism that allows for operating or use without tight grasping or pinching, twisting of the wrist, with less than 5 lbs of force and to operate using only one hand. 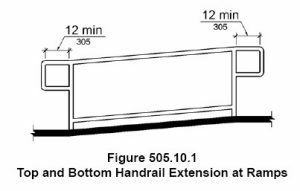 ADA section 309.4 Operable parts shall be operable with one hand and shall not require tight grasping, pinching, or twisting of the wrist. The force required to activate operable parts shall be 5 pounds (22.2 N) maximum. There are persons that don’t have proper use of their hands. 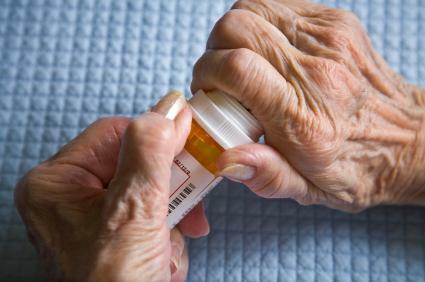 People with rheumatoid arthritis for example, or cerebral palsy, have a hard time grasping elements. Also, there are people, like amputees, or people that were born without hands or fingers that cannot operate elements which require tight pinching. 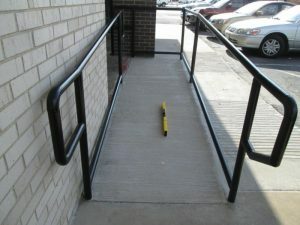 In addition, some people with disabilities or older people may not have the amount of strength required to operate an element or activate an operable part if the force required is more than 5 lbs. 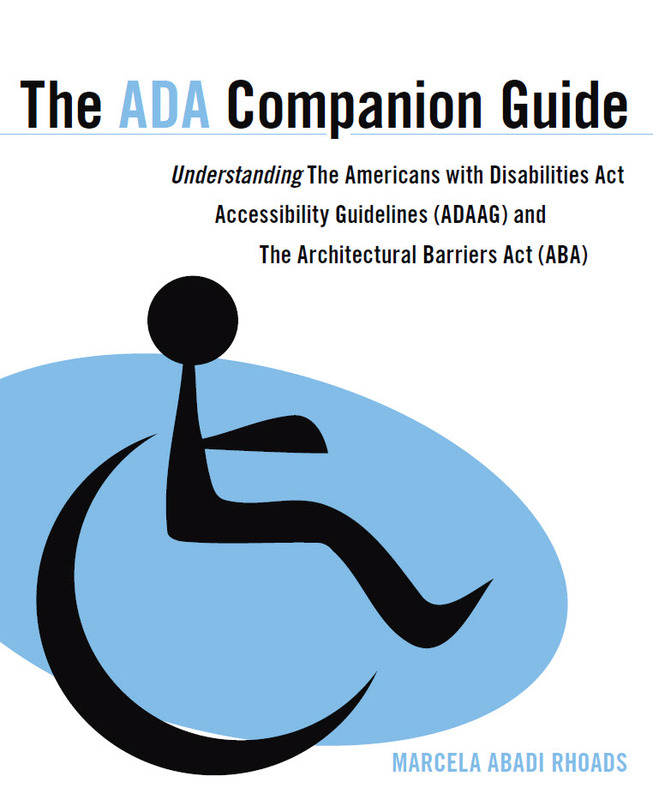 Therefore, the ADA design guidelines provides rules to assist those people to navigate their environment in an equal manner. 205.1 General. 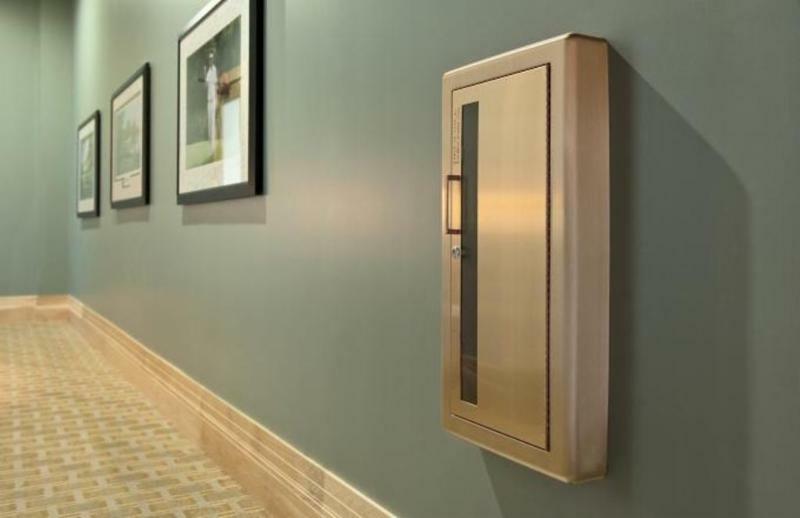 Controls covered by 205.1 include, but are not limited to, light switches, circuit breakers, duplexes and other convenience receptacles, environmental and appliance controls, plumbing fixture controls, and security and intercom systems. 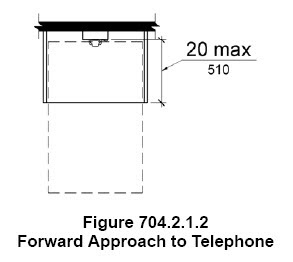 the operable part of the coffee maker must be no higher than 48″ a.f.f. 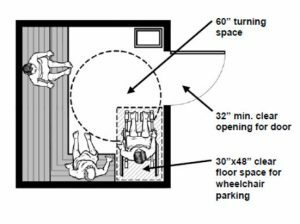 2) They must have a 30″x 48″ clear floor space to reach the operable part as specified on 305. 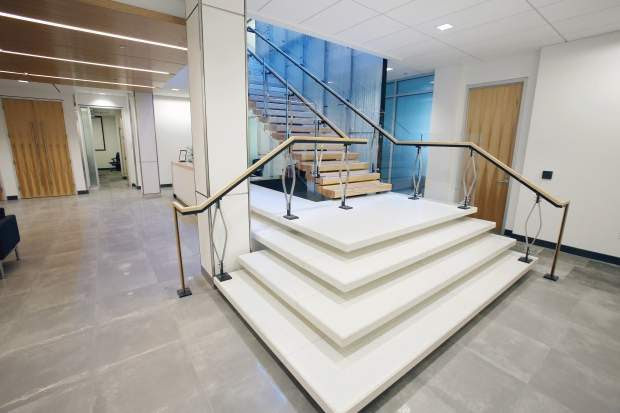 The clear floor space should have a slope no steeper than 1:48 (2%) in all directions. 3) and the operable part should be the type that will not require tight grasping and twisting of the wrist and no more than 5 lbs, like explained before. The answer is no. 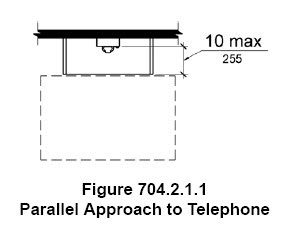 The reach range is for “operable parts” of fixed elements. 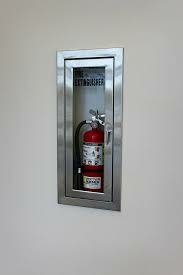 So a fire extinguisher would not be the operable part, but the handle to open the cabinet would be. 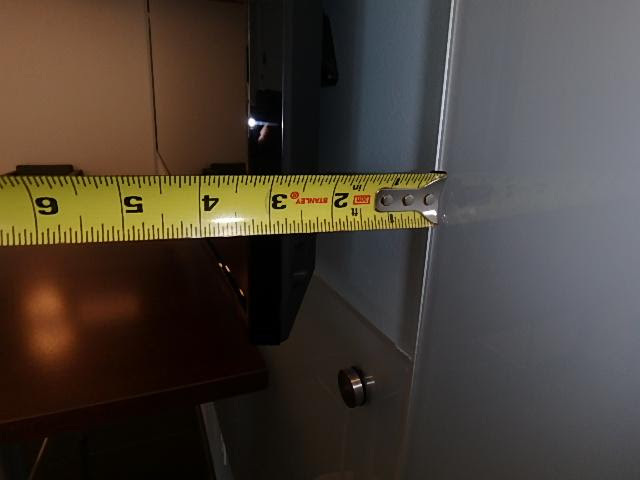 So one should locate the fire extinguisher cabinet door handle between 15″-48″ a.f.f. 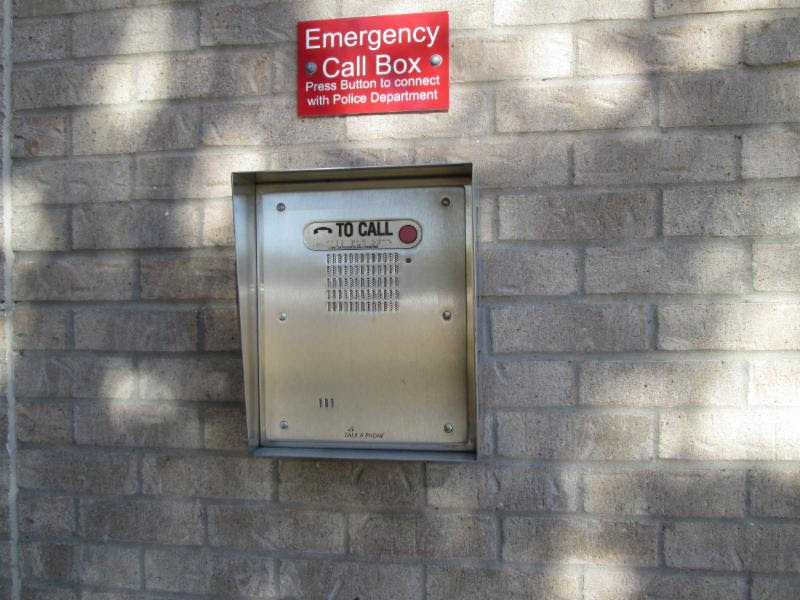 Another operating mechanism that is confusing is the emergency call button located in medical care facilities and long term care facilities. 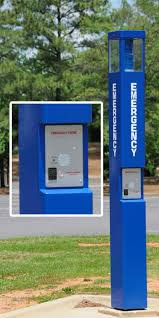 They are used when a patient or resident needs a nurse. 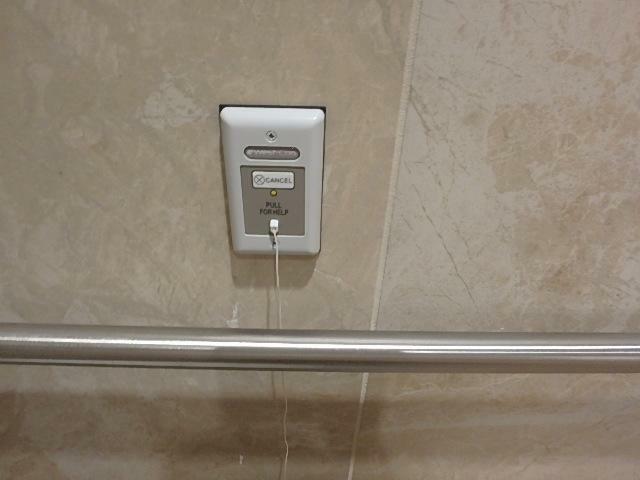 They are typically located next to the toilet and in the shower and they are required to have a string that reaches the floor. 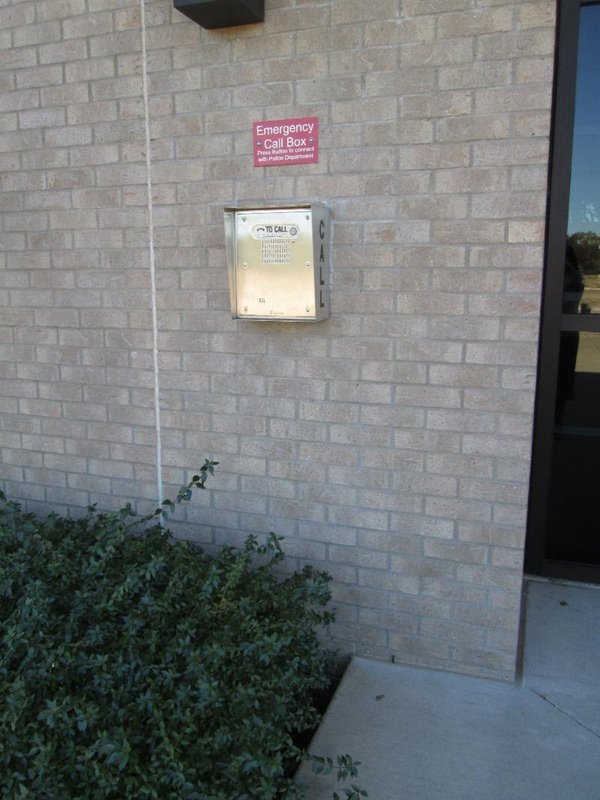 The string is used if a patient or resident falls and they need to pull the string if they can’t get up. 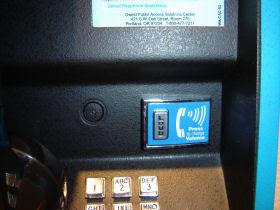 In order for the call button to be compliant, it must not only have the string, but it should have a second way of calling the nurse which will not require tight grasping and pulling. 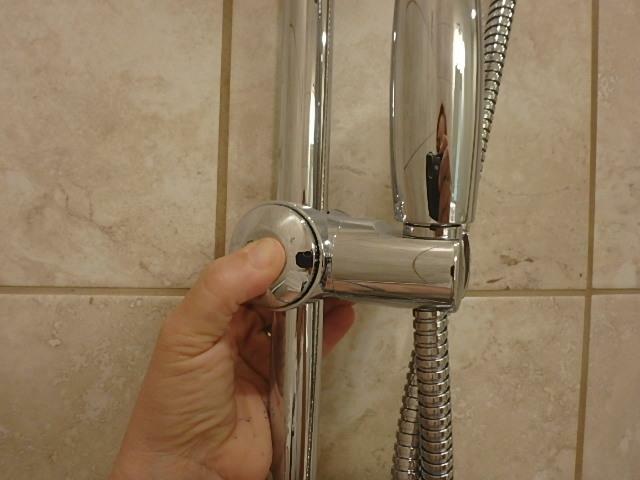 One of the operating mechanism that is forgotten is the one required to adjust a hand held shower unit. operate it and therefore not a compliant operating mechanism. 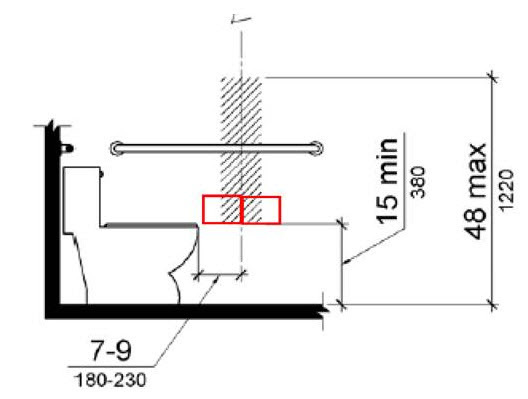 Once the height is adjusted, the mechanism to loosen or tighten the adjustable part is not always used again. But the initial action to adjust must meet the requirements. So the adjustable mechanism must also comply. A turning space within a room or space is typically depicted by a dashed circle or a dashed “T”. It is an imaginary space that we allocate for turning by a person in a wheelchair. 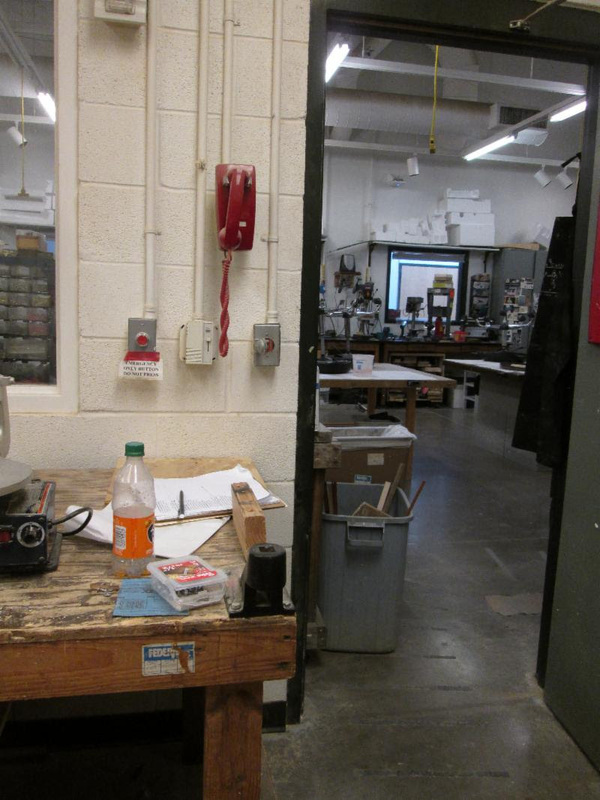 But it can really be located anywhere within that room or space as long as there is adequate room and no obstructions. 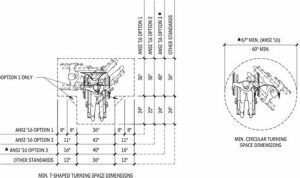 There are some restrictions for the turning space, and this newsletter will explain them. Where are turning spaces required? 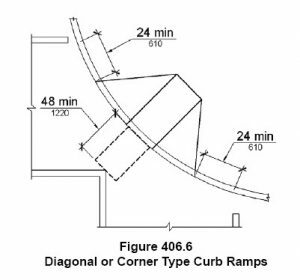 Besides the size of the turning space as shown in the introduction, the ADA also requires that the turning space have a stable firm and slip resistant ground surface, no slope greater than 1:48 and no changes in level are allowed. Advisory 304.2 Floor or Ground Surface Exception. 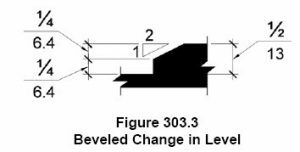 As used in this section, the phrase “changes in level” refers to surfaces with slopes and to surfaces with abrupt rise exceeding that permitted in Section 303.3. 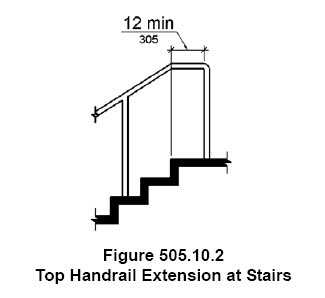 In other words, if you have a change in level that meets the exact requirements in section 303, but doesn’t exceed them, then it is permitted within the turning space. 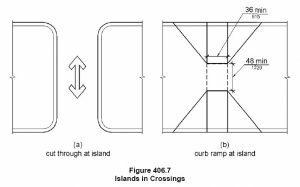 Below are the figures which illustrate the two changes in level that are permitted within a turning space. So how does this information get applied? One example is a restroom with a roll-in shower. 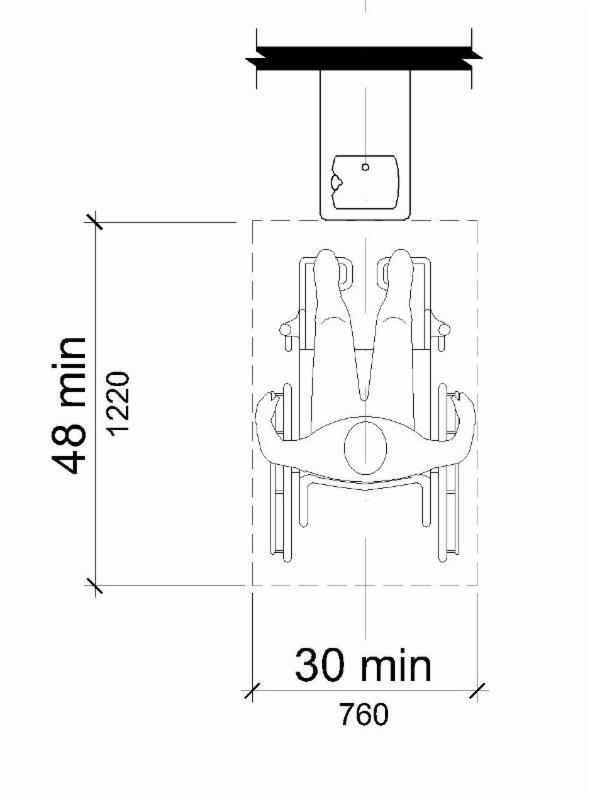 Can the turning space be partly inside the shower as shown in the image above? 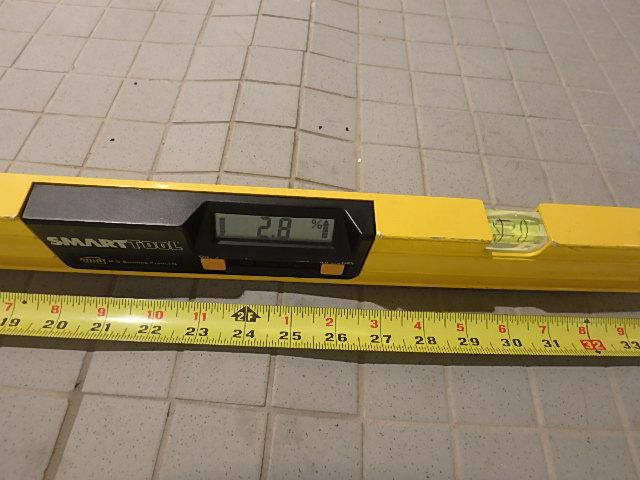 What if the shower had a 1/2″ curb? 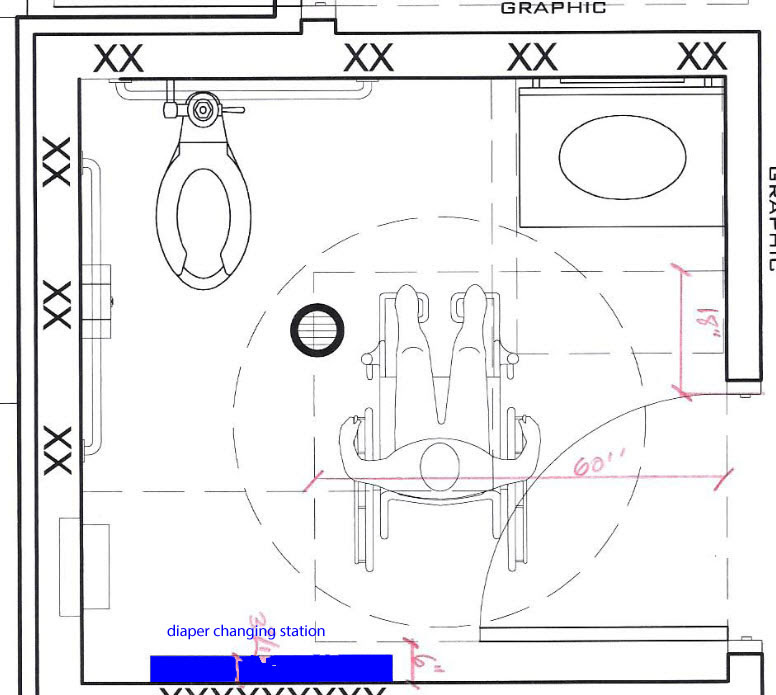 Then can the turning space be partially inside the shower? The answer is, yes, if the curb meets the requirements of Figure 303.3. 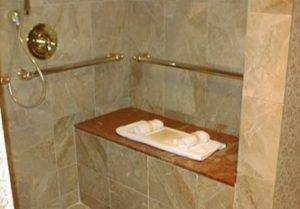 Seats are not always required at bathing facilities, but there are some situations that will require showers seats to be added. 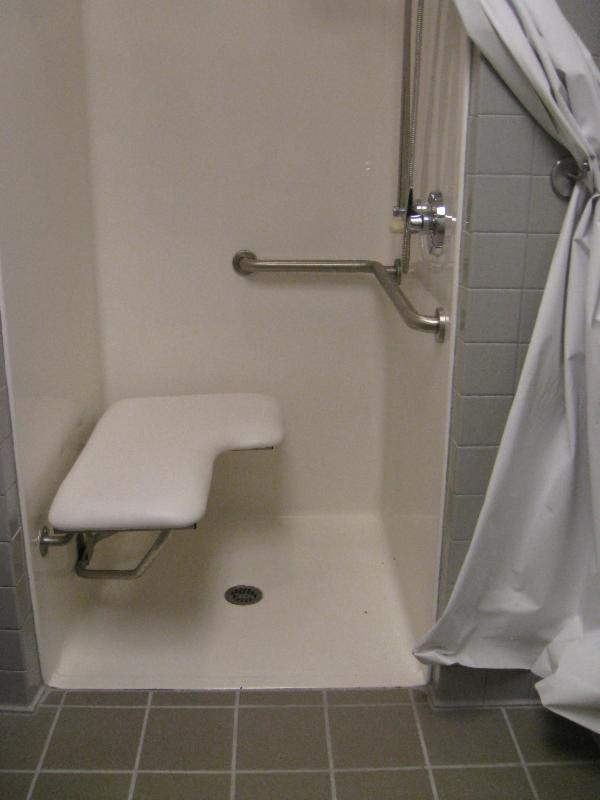 For instance, a transfer shower always requires a seat. Also, in transient lodging facilities (hotels, halfway houses, dorms), a seat is required not only in transfer showers but also in roll-in showers. 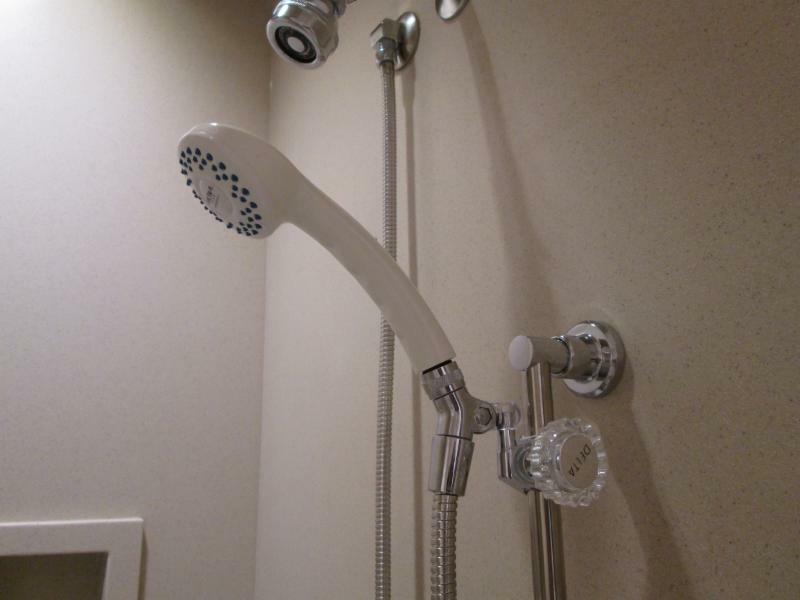 The shower must be permanently attached to the shower and not be movable. The one exception will be at residential facilities which require blocking for future seats. 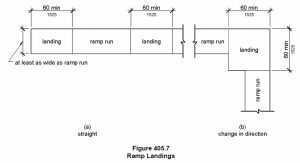 This article will explain how the seat should be installed and how it affects the location of controls and other elements. There are two types of showers: Transfer showers and roll in showers. 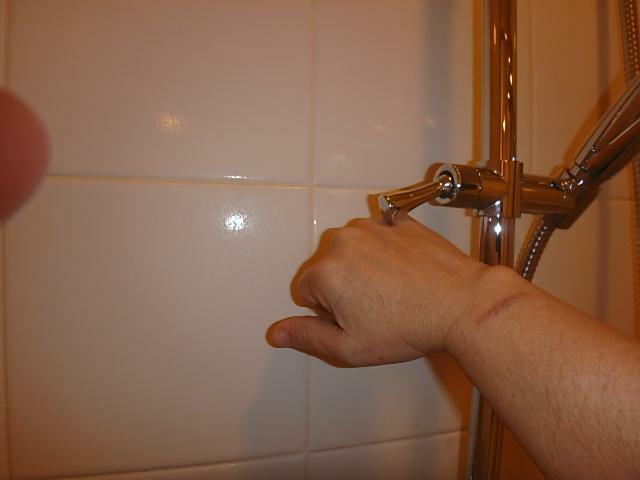 Transfer showers are one’s people with mobility impairment will “transfer” onto. 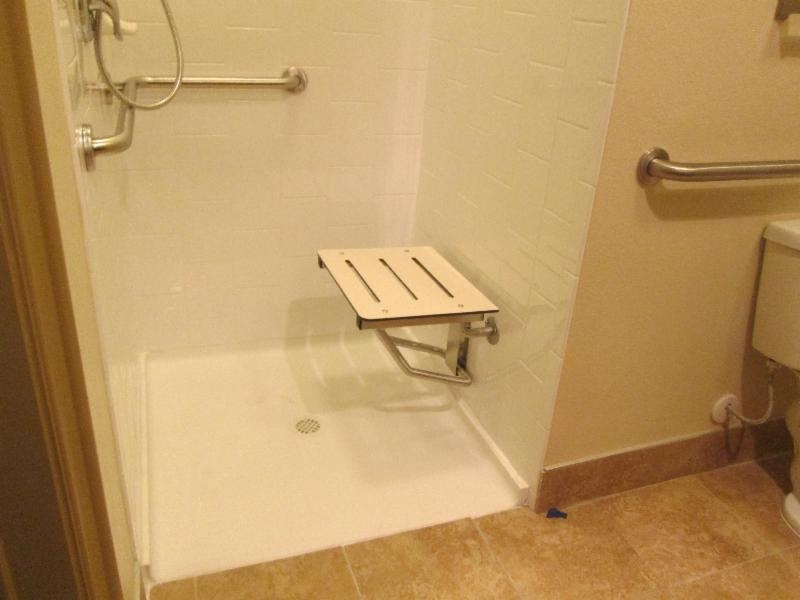 Roll-in showers are the ones that a person in a wheelchair will roll their wheelchair into. 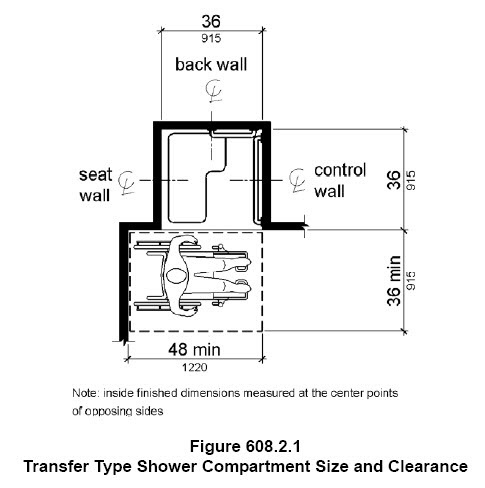 ADA Section 608.4 requires permanent shower seats in transfer showers. These must be either folding or not folding seat. 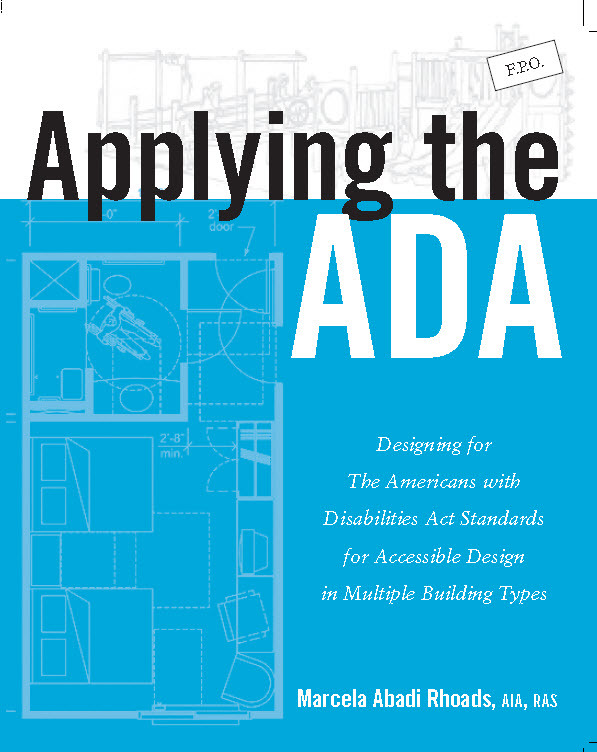 The only exception is for residential dwelling units required to comply with ADA (not Fair Housing). Reinforcement in the wall for the future installation shall be provided instead. 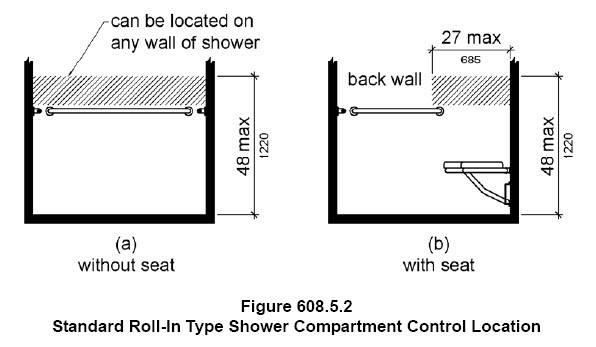 If a seat is provided in a roll in shower, either by choice or because it is required as stated above, the seat must be permanent and folding. 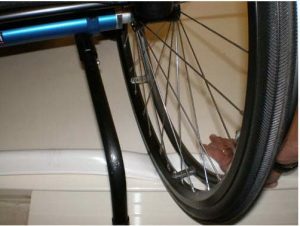 This allows a person to either use the shower as a transfer type with the seat or as a true roll-in-shower without the seat in the way. 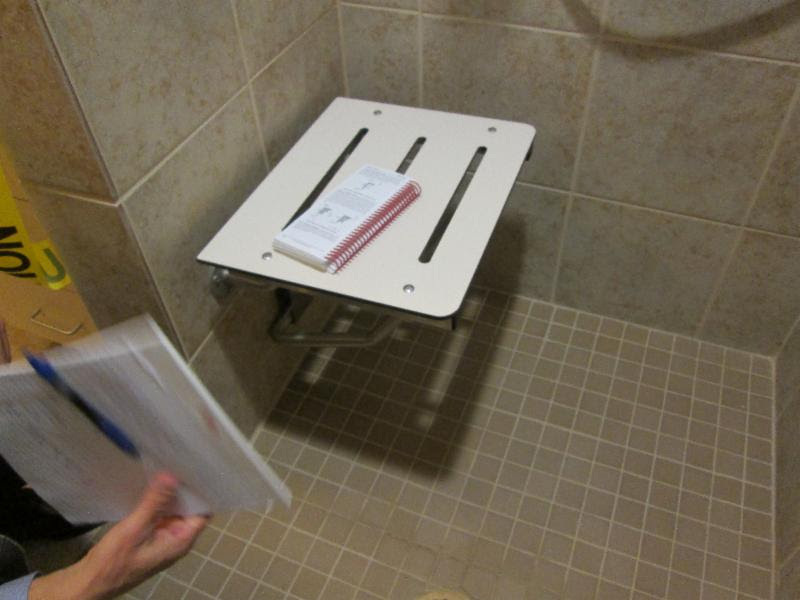 This photo shows a folding seat mounted on a roll in shower. 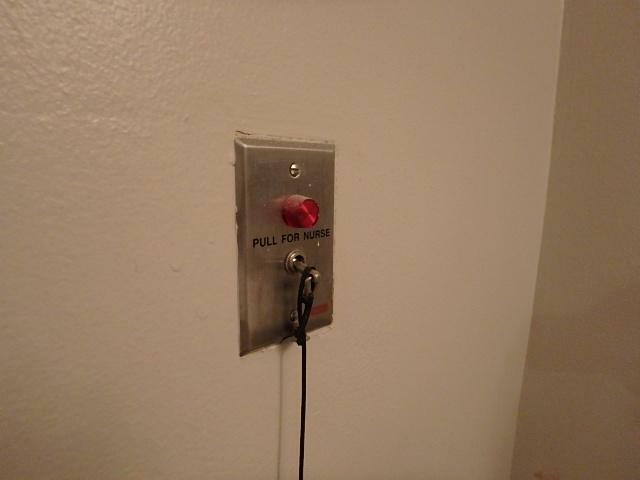 The controls are located in the correct location, but there is a grab bar above it. 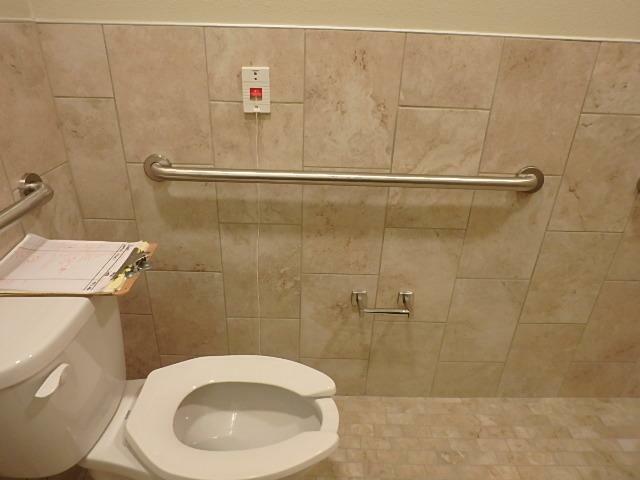 A grab bar should not be provided where the seat is located. 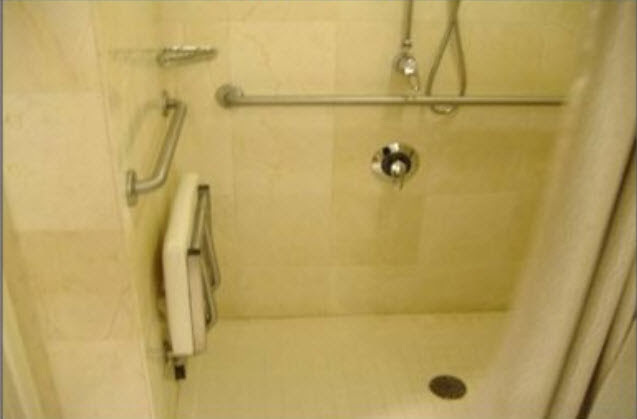 This shower was intended as a roll in shower, but the seat provided is not “folding”, therefore a person in a wheelchair could not roll in and use it easily. 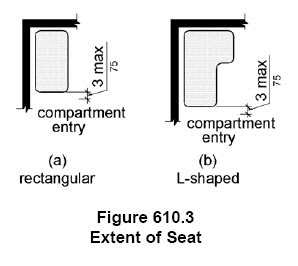 1) Where a seat is provided, the seat shall extend from the back wall to a point within 3″ of the compartment entry. 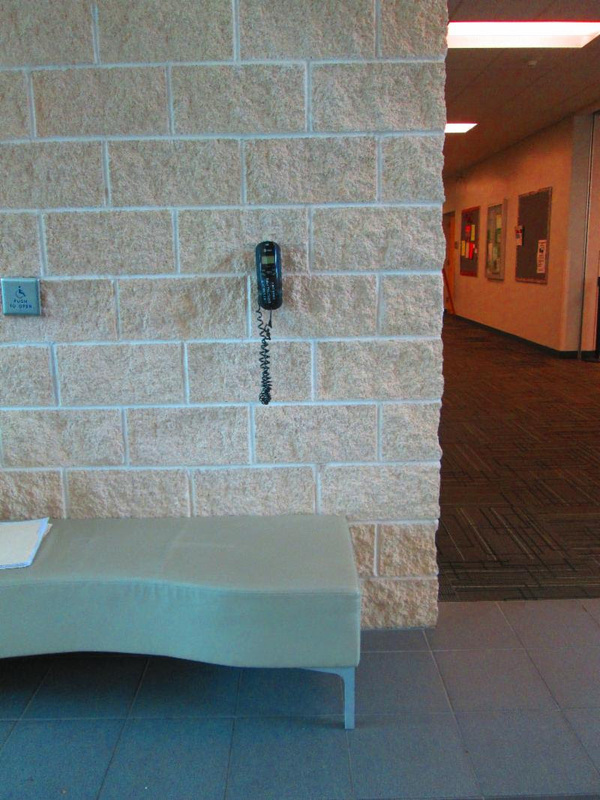 Sometimes, the seat is located around a gyp wall and the shower sits back a few inches. 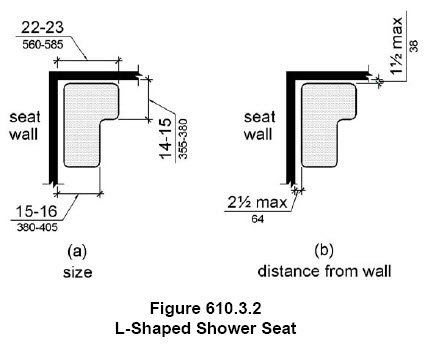 So do we consider the wing wall part of the shower when measuring the location of the seat? 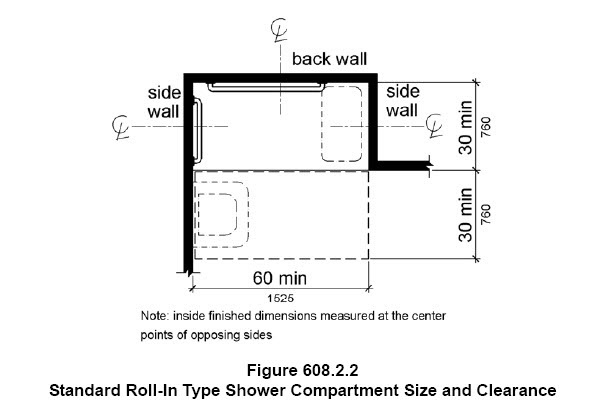 According to the Texas Department of Licensing, the shower begins at the shower pan and therefore the wing wall is not counted as part of the shower. This shower seat is located 3″ away from the shower pan which is technically where the shower entry begins. The gyp wall extension is not technically part of the shower. We recommend that if at all possible, you make the shower pan flush with the wall. 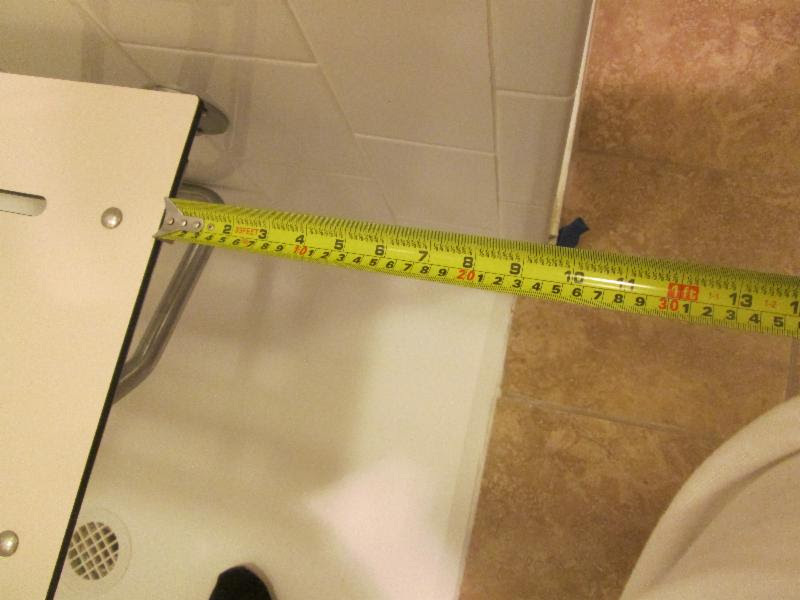 2) The top of the seat shall be 17″-19″ above the bathroom finish floor. 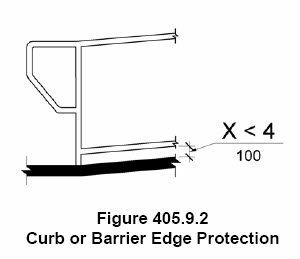 5) The structural strength should be able to sustain 250 lbs of applied force on the seat, fastener, mounting device or support structure. 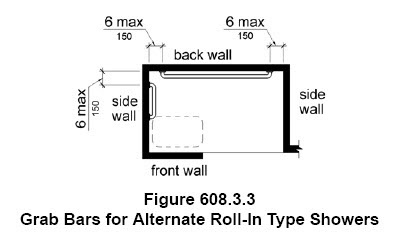 There are two types of roll in shower configurations allowed by the ADA. 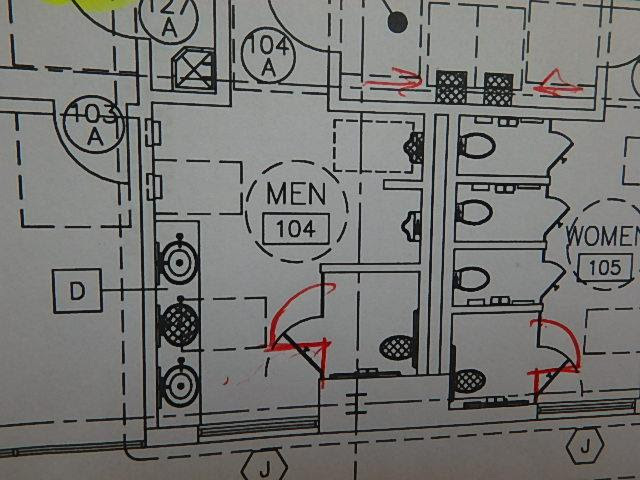 The shower seat location in these showers will dictate where the controls and grab bars will be located. 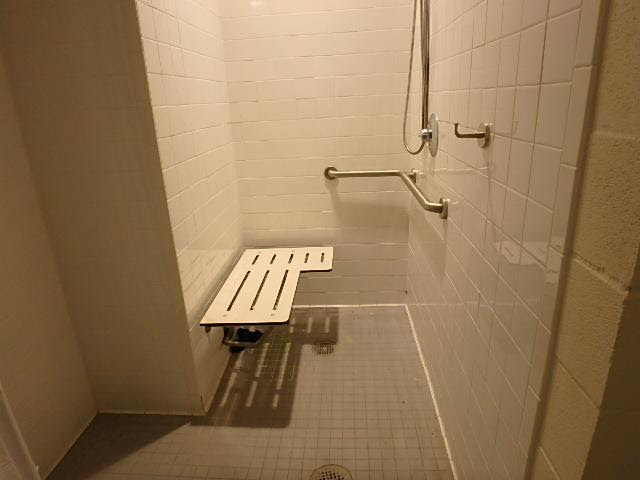 The alternate shower with a seat. 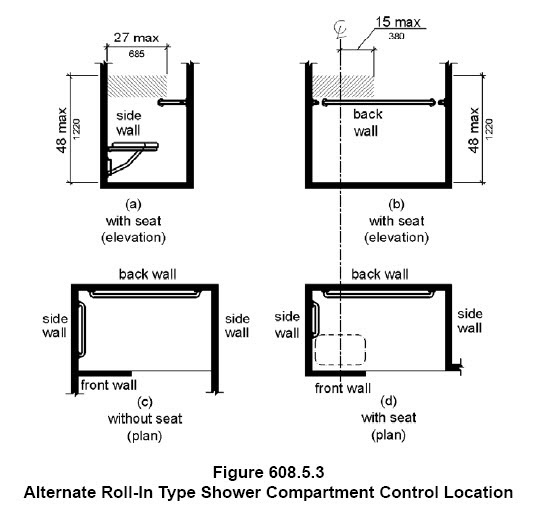 An alternate shower is a combination of a transfer shower and roll in shower, so it is larger in depth than a standard roll-in shower. 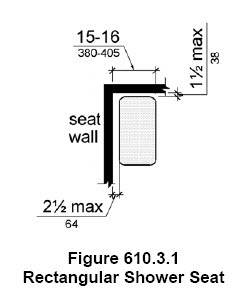 Depending on where the seat is located, the controls must be located no farther than 27″ away from the seat. 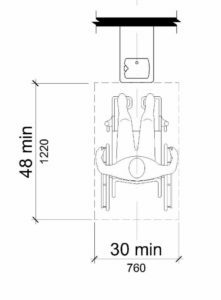 In order to transfer onto the seat, there should be a clear floor space that meets the requirements at 305 parallel to the shower seat. 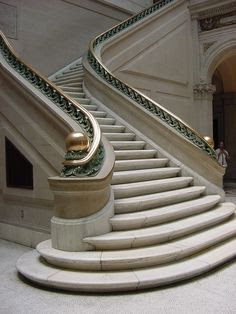 The requirements include the size to be 30″x48″ and that the slope is not steeper than 1:48. 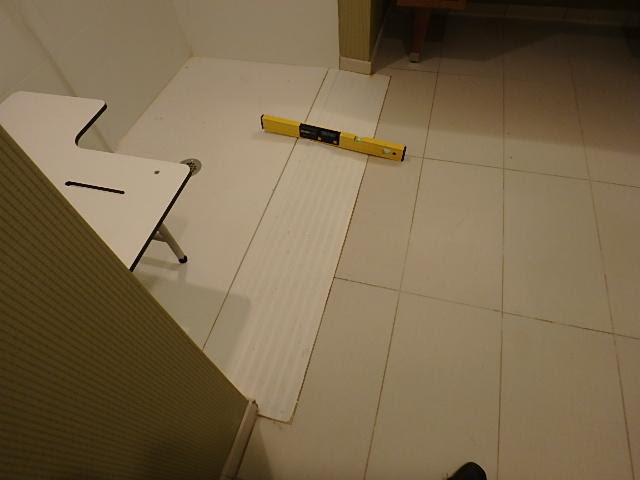 This shower entry into a transfer shower has a sloped entry which would have been acceptable if the clear floor space would have been 30″ deep. 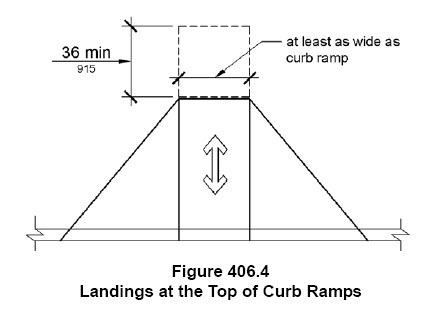 The slope begins with that 30″ making the slope steeper than 1:48. Would you like to receive helpful information like the above article? Subscribe to our accessibility newsletter. 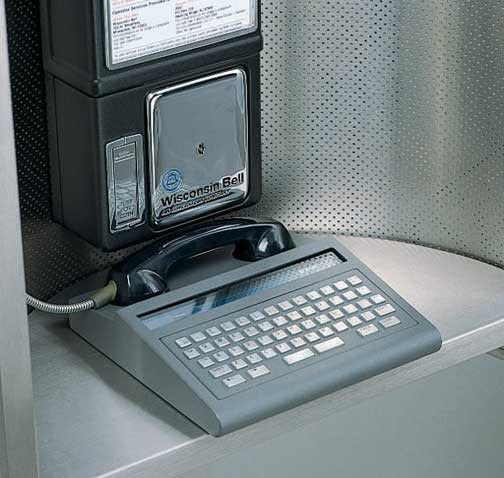 We send it only once per month. We promise not to spam you. 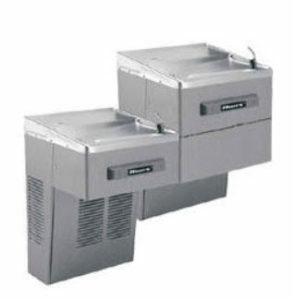 is there a requirement in the ADA to always provide a double unit for drinking fountains? No. The requirement for drinking fountains per section 211.2 is that no fewer than two drinking fountains be provided. If you have just one, you must add a second one. One of the drinking fountains should be for people who use wheelchairs and the second drinking fountain should be for people who cannot bend down and will be standing. 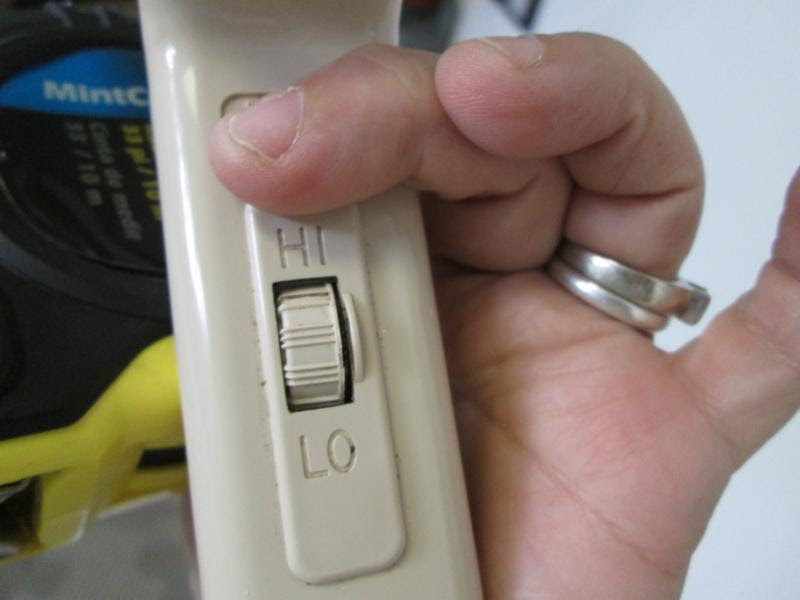 You may use a “hi-lo” unit or you can have them as two separate units. This section also does not require that you provide them in the same place. 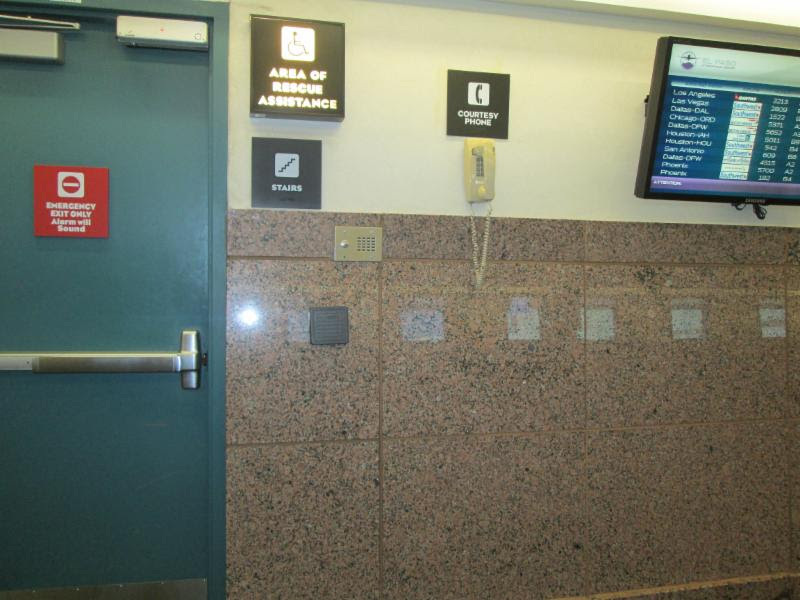 As long as your count yields 50% for wheel chairs and 50% for standing persons located somewhere in the facility. In case you are designing for children, you cannot substitute one of the required drinking fountains for a child height drinking fountain. The child drinking fountain will have to be a third one that is provided. 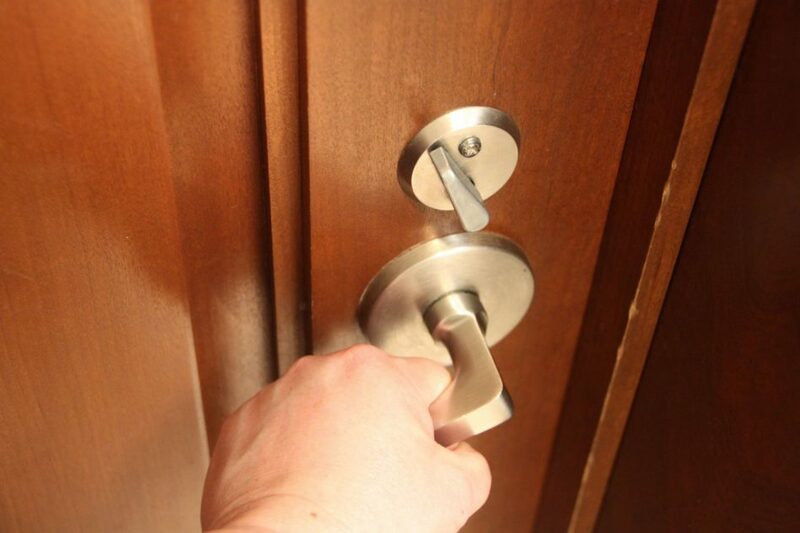 What is the difference between a toilet compartment and a toilet room? 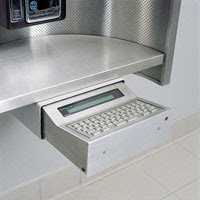 A toilet compartment generally is located in a toilet room where other toilet fixtures are provided as well. 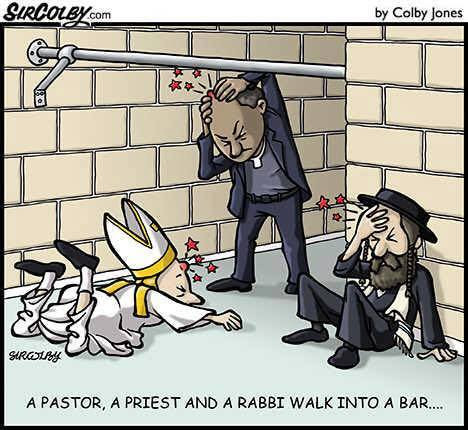 They are typically located in a multi-user restroom. 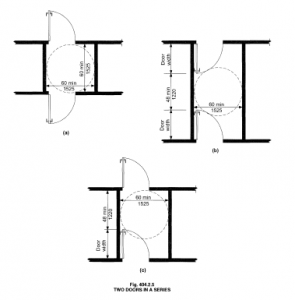 What can get confusing is when the toilet compartment partitions are constructed out of gypsum walls instead of the typical metal or plastic laminate partitions. Even if the toilet compartments are made out of gypsum walls that go from floor to ceiling, they are still considered “compartments” and not toilet rooms. 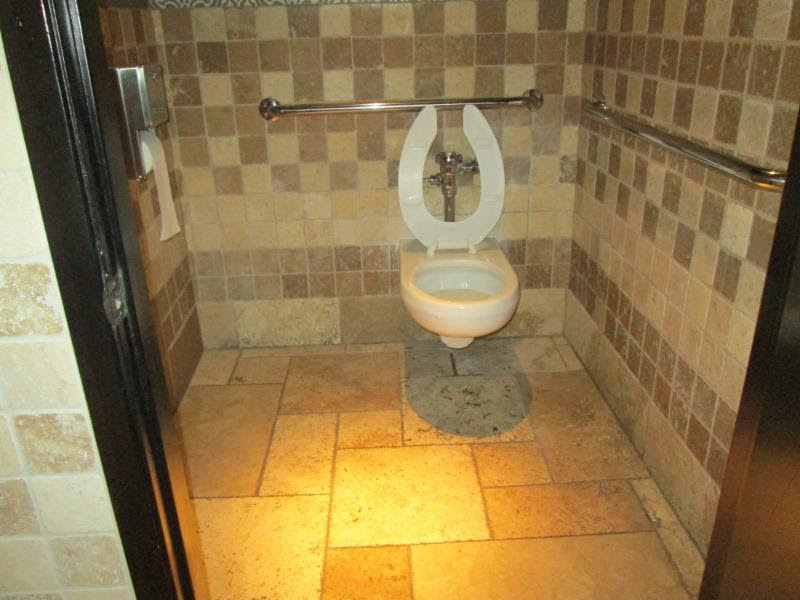 A toilet room, on the other hand, has more than just a toilet within. 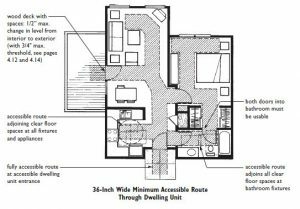 It typically will have a lavatory or sometimes even a shower. 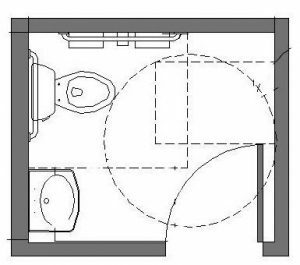 A toilet room could also have two water closets, or a urinal and a lavatory. In those scenario, there are other requirements that you must adhere to, such as door maneuvering clearances, and turning space. 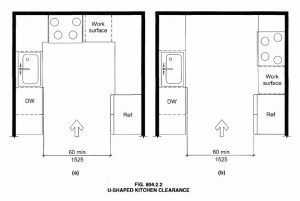 Unlike a toilet room, a toilet compartment does not require a turning space within, although door maneuvering clearances will be required. If a restroom is not a public space per se, but for a worker or staff, are we still required to provide it as accessible? Yes. 100% of all toilet rooms are required to be accessible. A staff toilet or a non-public toilet are not excempted. 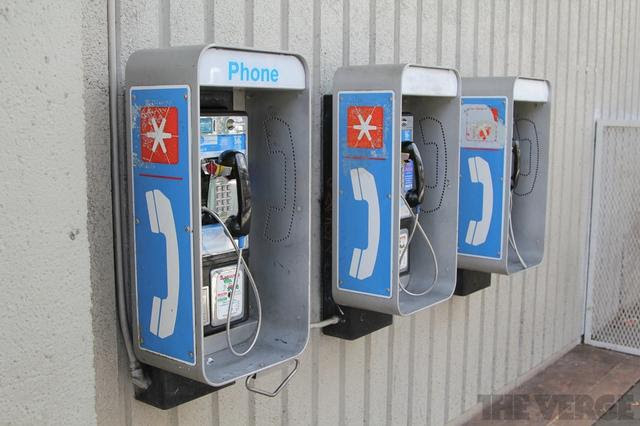 There are some exceptions for single user unisex restrooms that are clustered together. 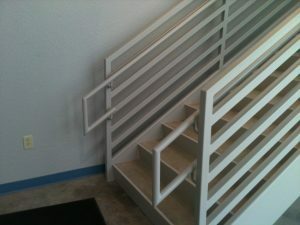 Those will only require 50% of them to be accessible. And even private toilet rooms that are accessed by someone’s office only are not fully excempted and must comply with certain requirements. I wrote a newsletter about that if you would like more information. 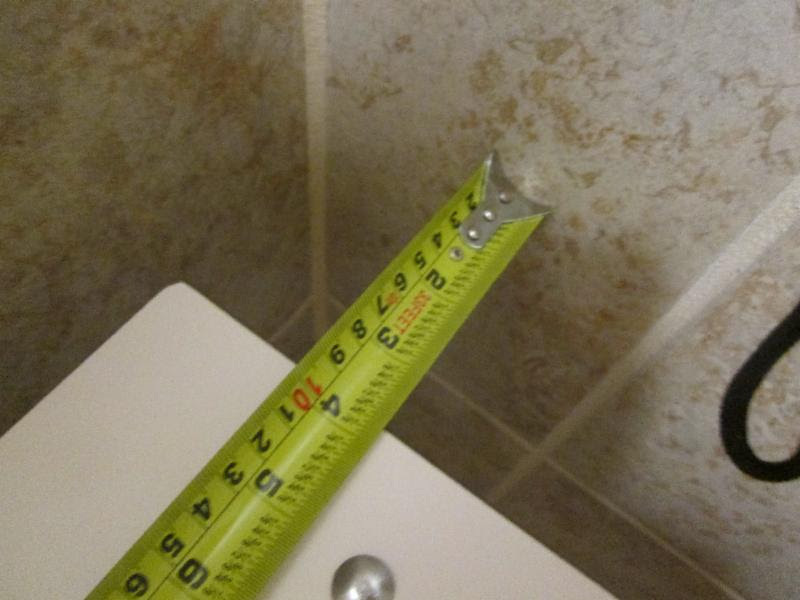 Is the distance of a double toilet paper dispenser from the edge of the toilet seat measured to the middle of the dispenser as a unit? to the closest roll? or to the furthest roll? 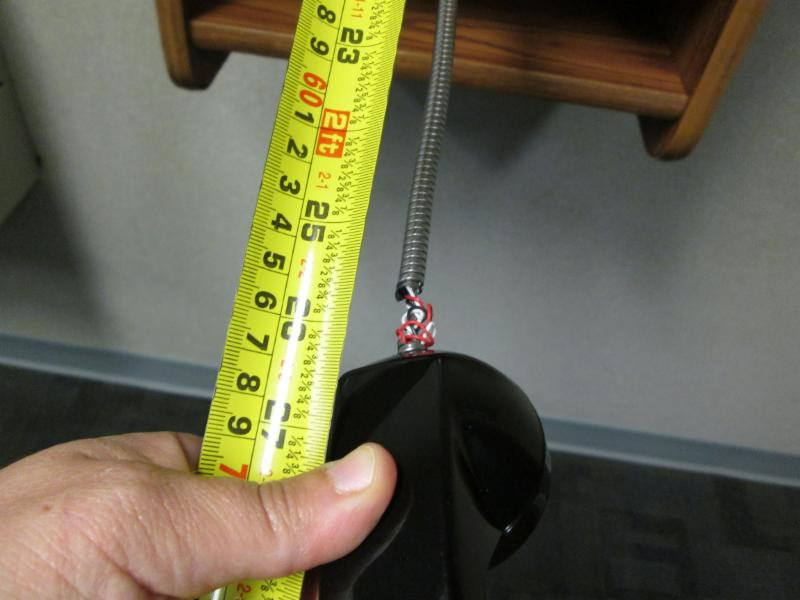 We measure the toilet paper dispenser to the centerline of the double roll. 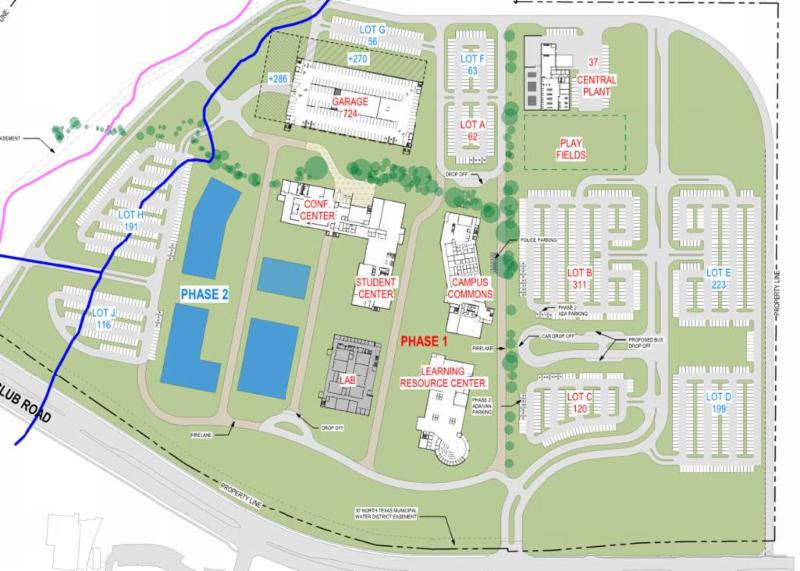 We are designing in an existing campus that has 4 main buildings on it with 9 parking lots and 1 parking garage. In reading TAS, it says that each parking “facility” shall have its own accessible spaces and that parking “facility” is the same as a parking “lot”. We understand that Lot E (for example) would need its own calculation for ADA spots (223 total = 7 ADA), but you wouldn’t locate them in Lot E, would you? 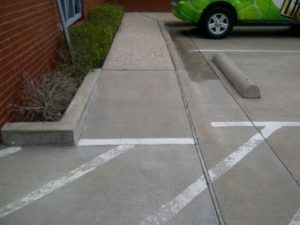 I would think that you would want those 7 spots to be located in Lot B, closer to the buildings. 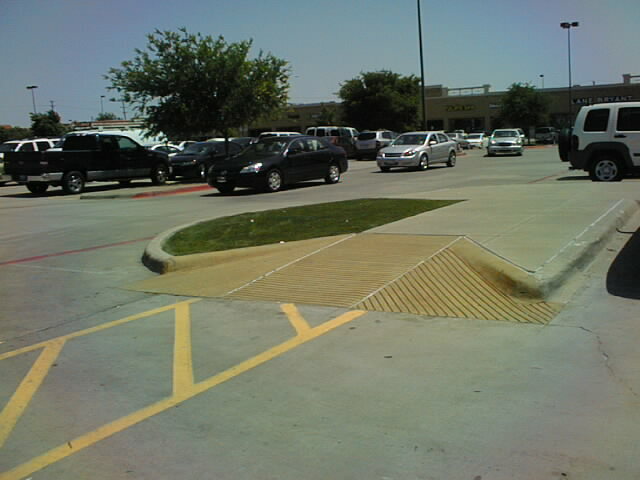 Can we designate them as ADA spots in one Lot for a different Lot? Their assumption was correct. 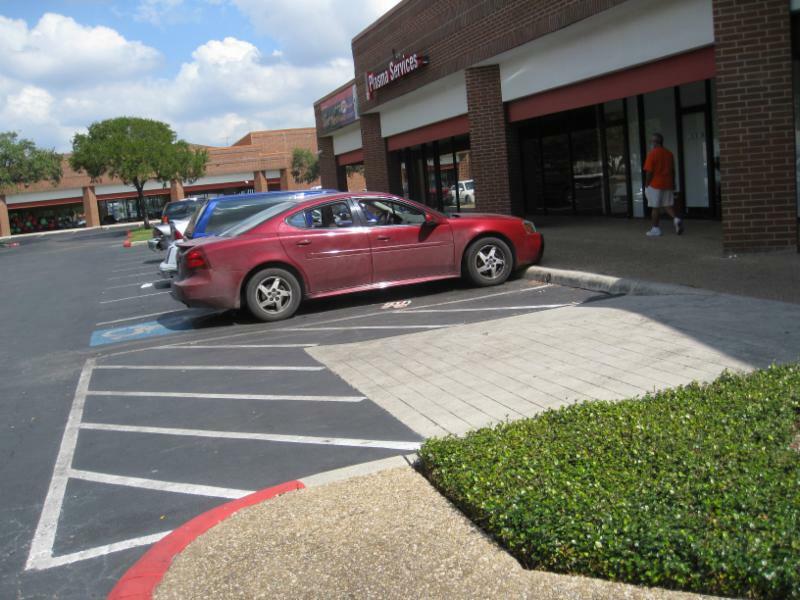 Even though the ADA and TAS require that each parking facility have its own set of accessible parking spaces, there is also a requirement (208.3.1) that the accessible parking spaces be located on the closest accessible route to the entrance of the building they serve. A blind person who uses a cane to find their way, can only detect objects that are located 27″ a.f.f. 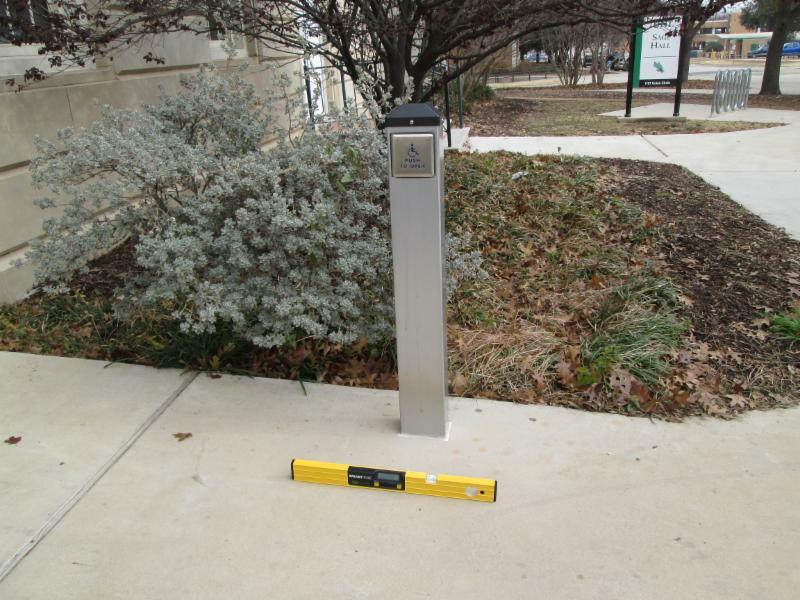 Any object mounted higher cannot be detected by the cane. 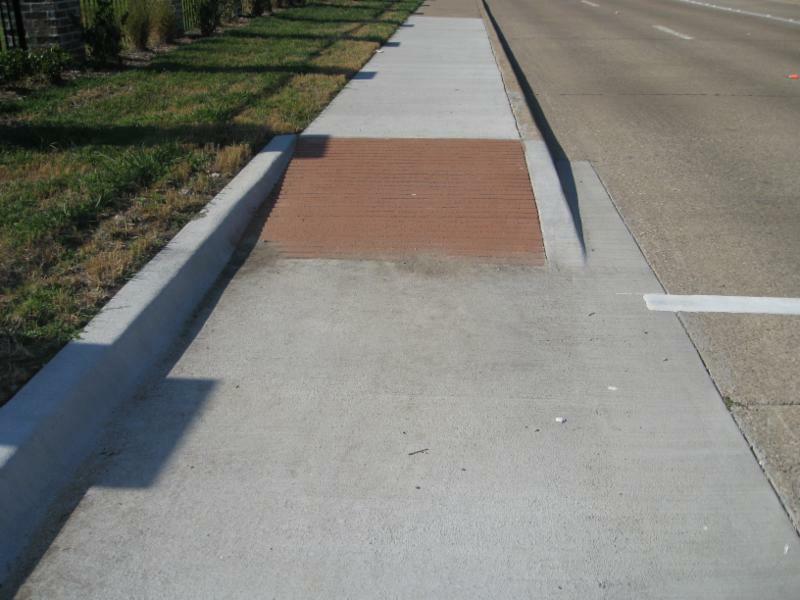 So the ADA puts limits on how far an object can project onto the pedestrian circulation path. The ADA under section 307 only allows 4″ of projection onto a path of travel for an able bodied visually impaired person. 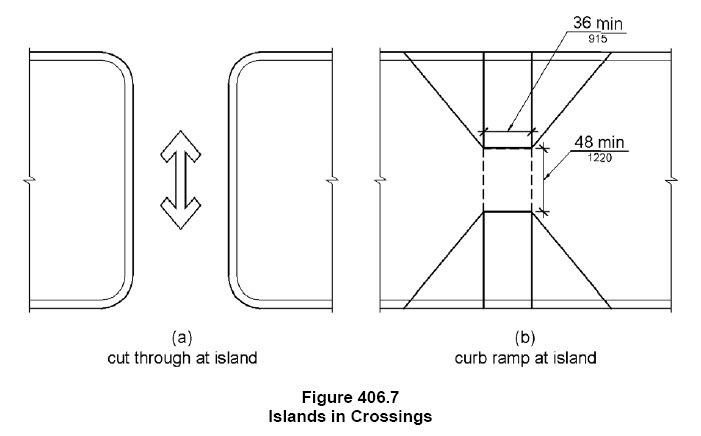 This is the ADA figure that shows the limits of objects mounted along a circulation path. 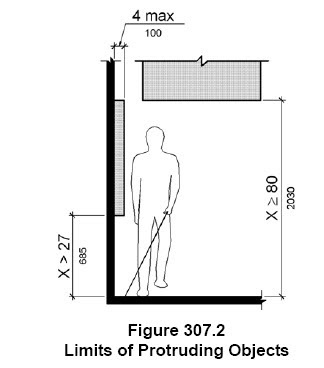 Because the TV is in a circulation path to the back door, a person who is visually impaired, might run into it and hurt themselves because they would not be able to detect it. 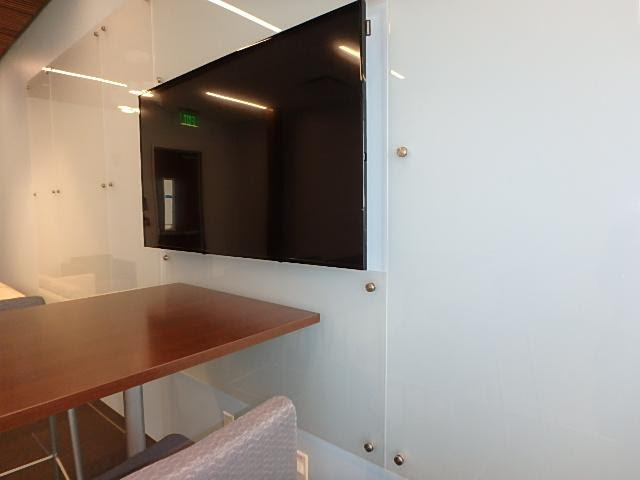 At the same project, they added glass panels around the TV which acted as a recess. 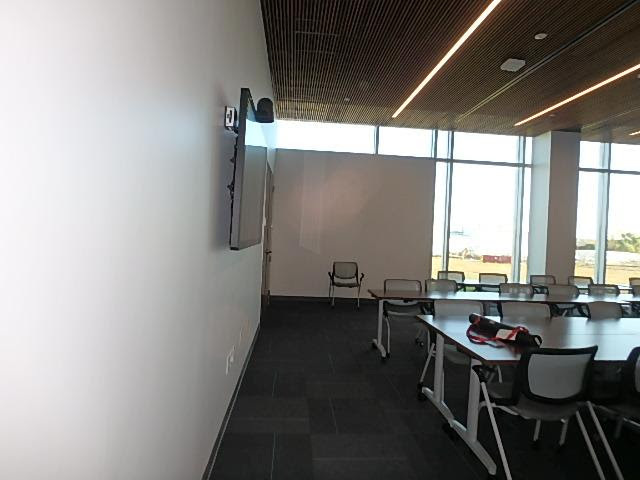 As you can see the TV is surrounded by glass panels. 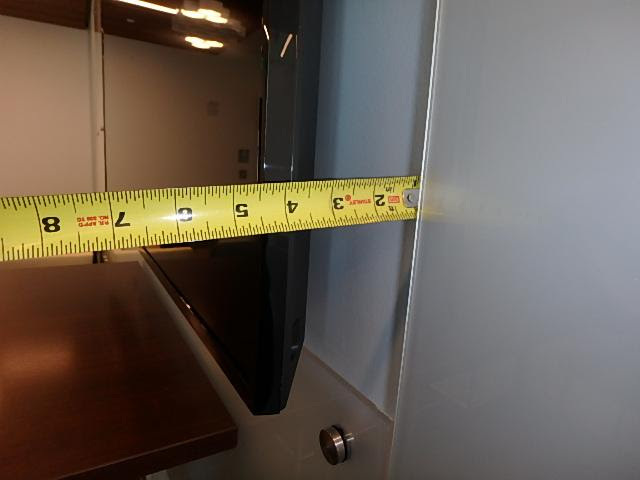 Without the glass panel we measured 4 1/2″ from the bare gyp to the edge of the TV. 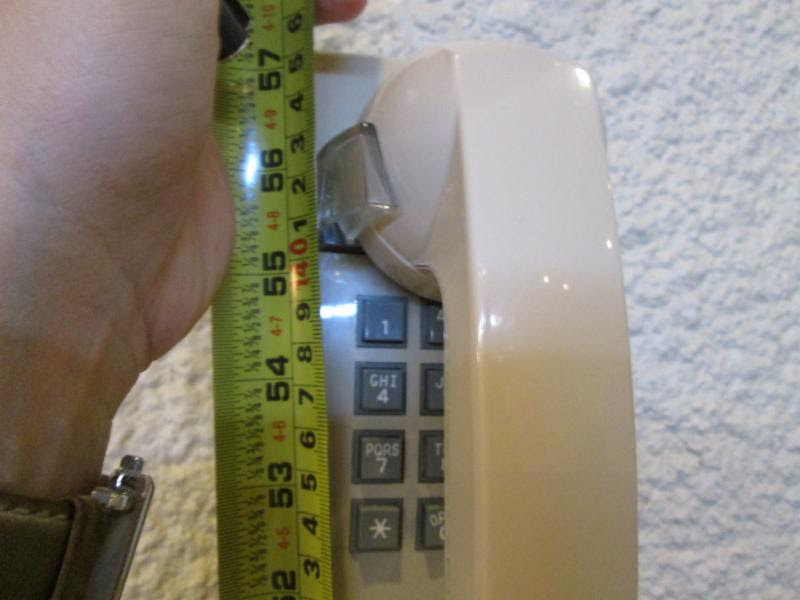 3 1/4″ which is then not a protruding object. 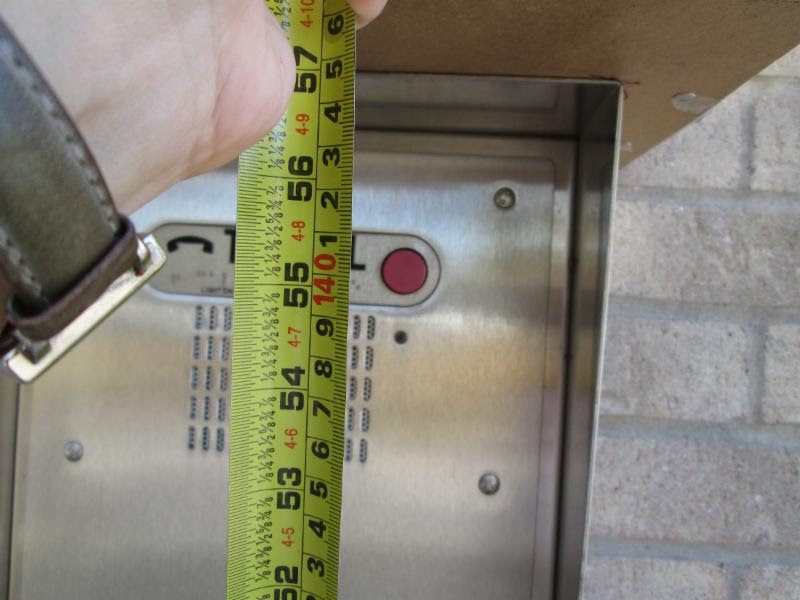 Under Section 309, any operable part must have an opening force no heavier than 5 lbs. 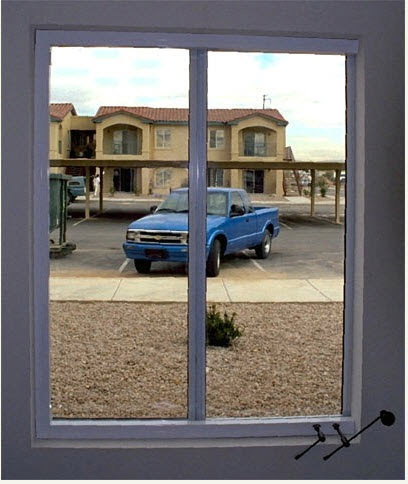 Operable windows also have the same requirement. 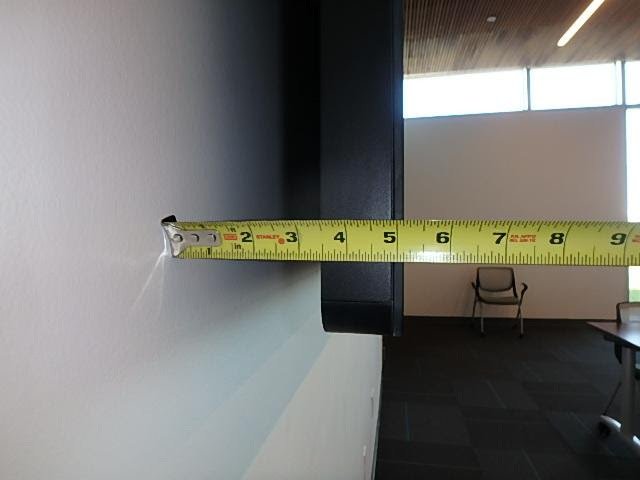 A single hung window is is very difficult to achieve less than 5 lbs of opening force. 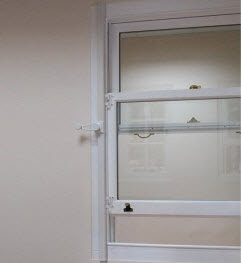 A third party mechanism like a “Fenestrator” or a “Window Ease” can be used to make the opening force compliant. 2050 Stemmons Freeway at Market Center Blvd. 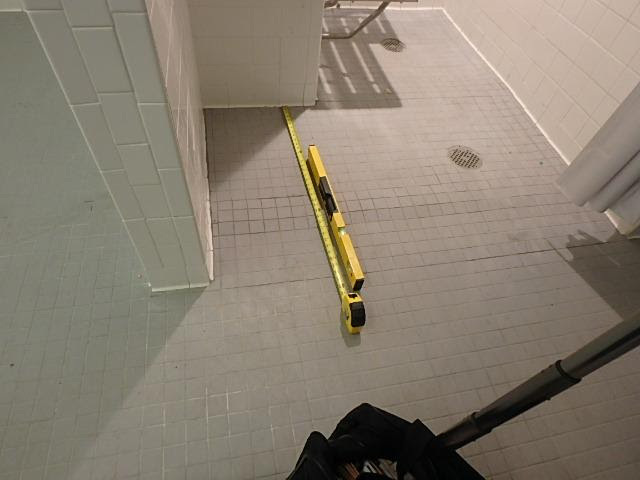 A shower, whether it is a transfer shower or a roll in shower, requires a “clear” floor space parallel to to it. 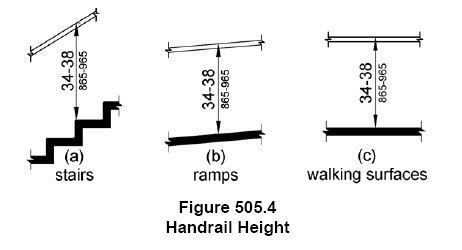 The clear floor space (shown by a dashed rectangle in the figures above), cannot have any changes in level within the space and that it must have a slope no steeper than 1:48 (2%) in all directions within the rectangle. 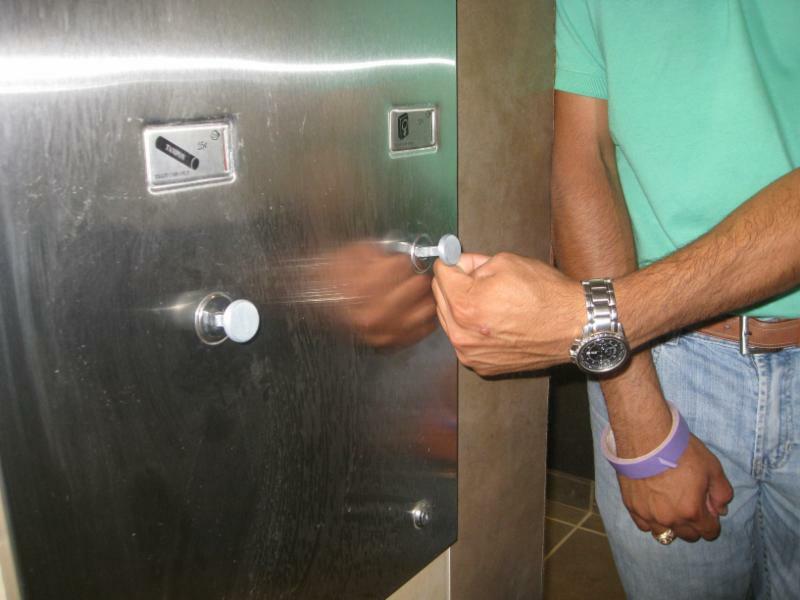 Recently I inspected two facilities with showers that had sloped entries. 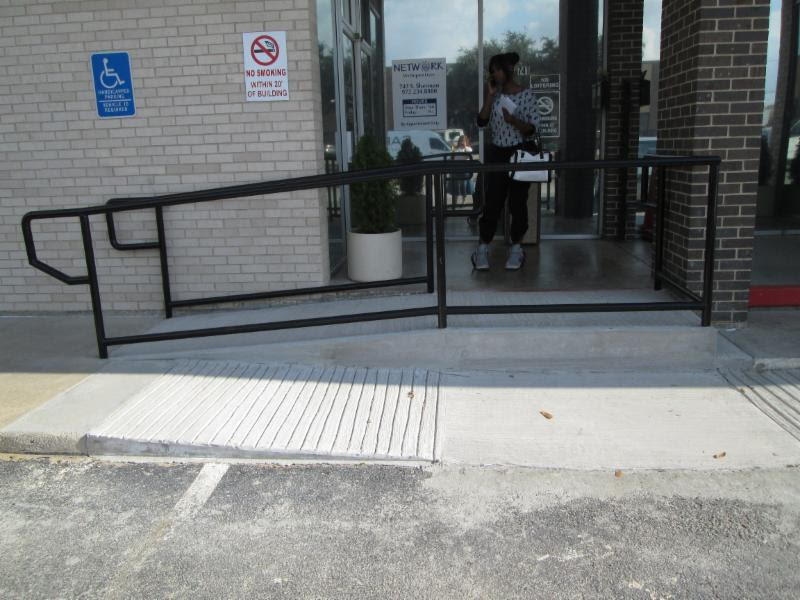 Those entries were part of the clear floor space and it did not provide the 1:48 slope required for a person in a wheelchair to safely park their chair parallel to the seat and transfer on. 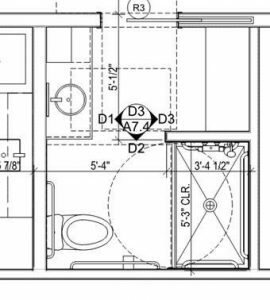 As you can see by the video, the clear floor space is a crucial component for the ability to maneuver and transfer onto the shower seat. 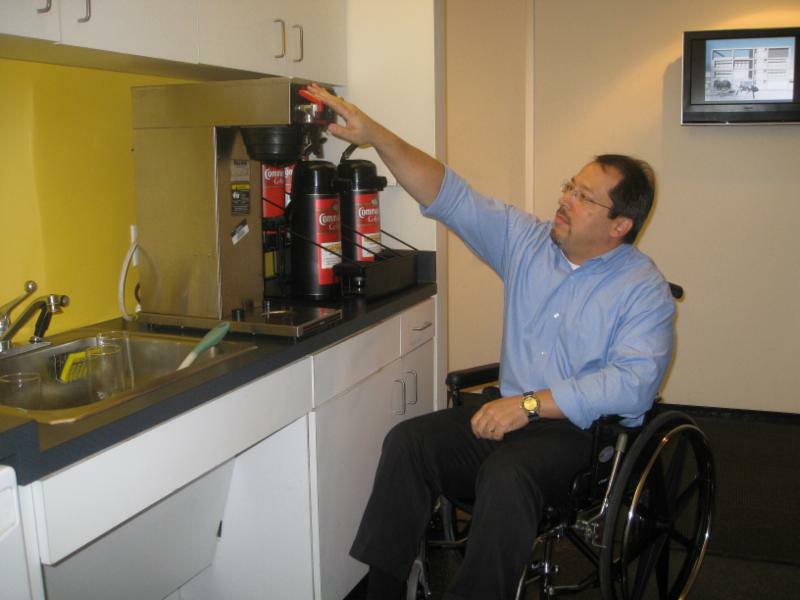 What ADA requires of drinking fountains? 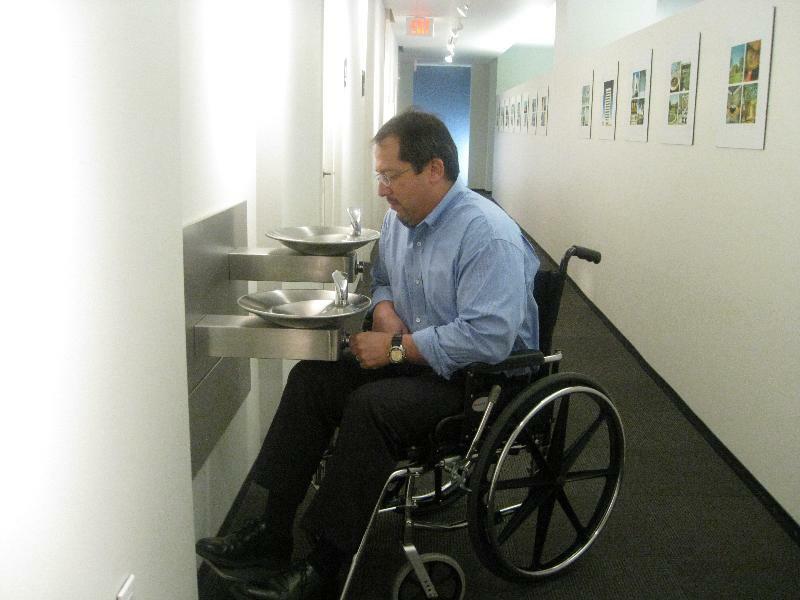 2) If there are more than two drinking fountains 50% should be for wheelchairs and 50% should be for standing person. If there is an odd number, it is allowed to round down to yield an even number. 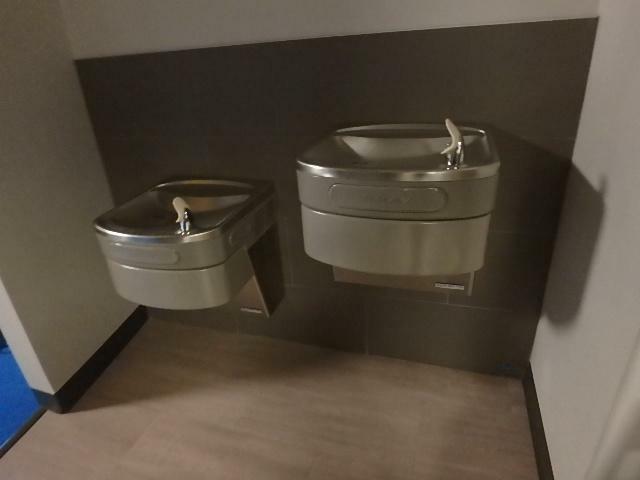 3) The drinking fountains do not have to be a single unit (hi-lo), but it can be multiple drinking fountains mounted at the required heights, and they can be distributed throughout the facility. 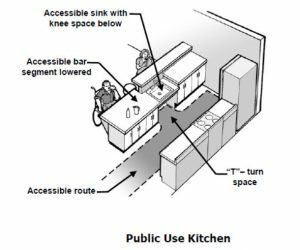 4) At the wheelchair drinking fountain there should be a floor clearance that has a forward approach and is 30″ wide x 48″ long centered on the unit, like shown in the drawing below. 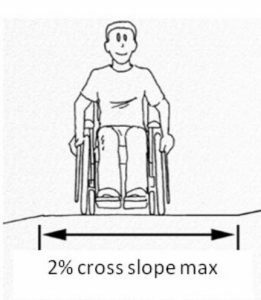 In addition, there should be a 27″ high knee clearance. 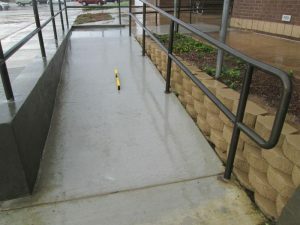 Since the clearance underneath the wheelchair drinking fountain must be centered, when there is a lower drinking fountain for wheelchairs next to a drinking fountain for standing persons, the clearance underneath the lower drinking fountain will sometimes be located partially underneath the higher drinking fountain depending on the distance between the two fountains. The person using the drinking fountain is using not only the space underneath the wheelchair drinking fountain but also part of the space of the higher drinking fountain. Why is this important? 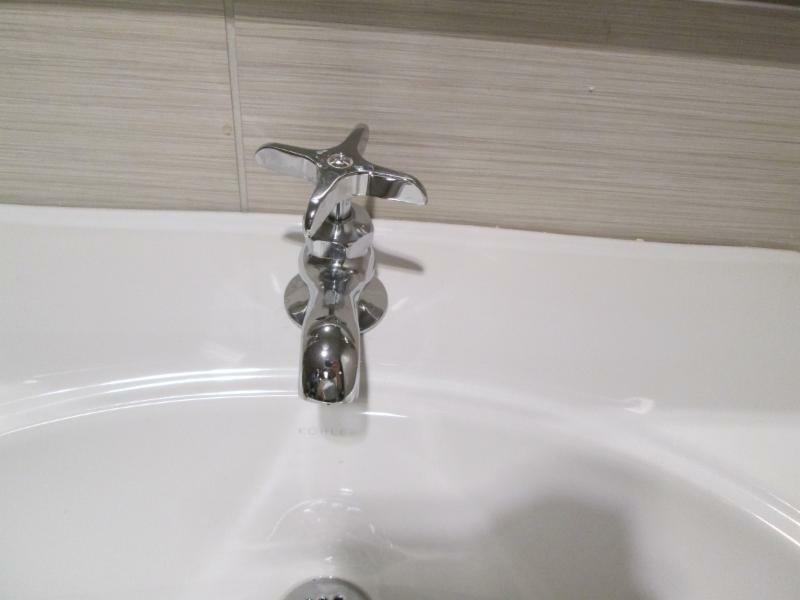 Like in the image above, this drinking fountain is located in a circulation path and it protrudes more than 4″ above the finished floor and since it is higher than 27″ a.f.f. 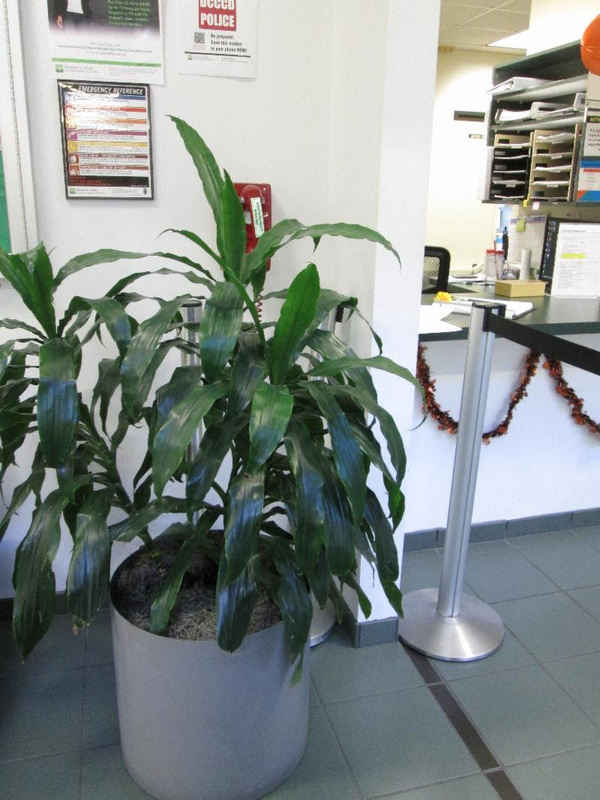 (the high drinking fountain specifically), then it is not detectable by a cane of a visually impaired person. 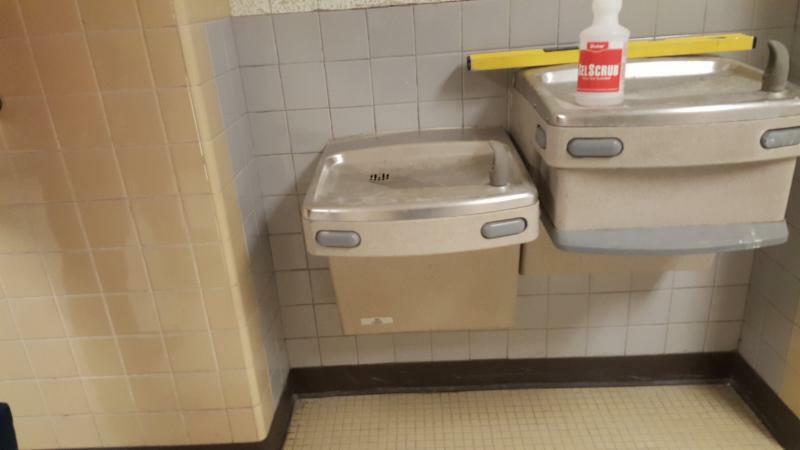 One solution to correct the protrusion is to install a cane detectable apron underneath the higher drinking fountain which is higher than 27″ a.f.f. 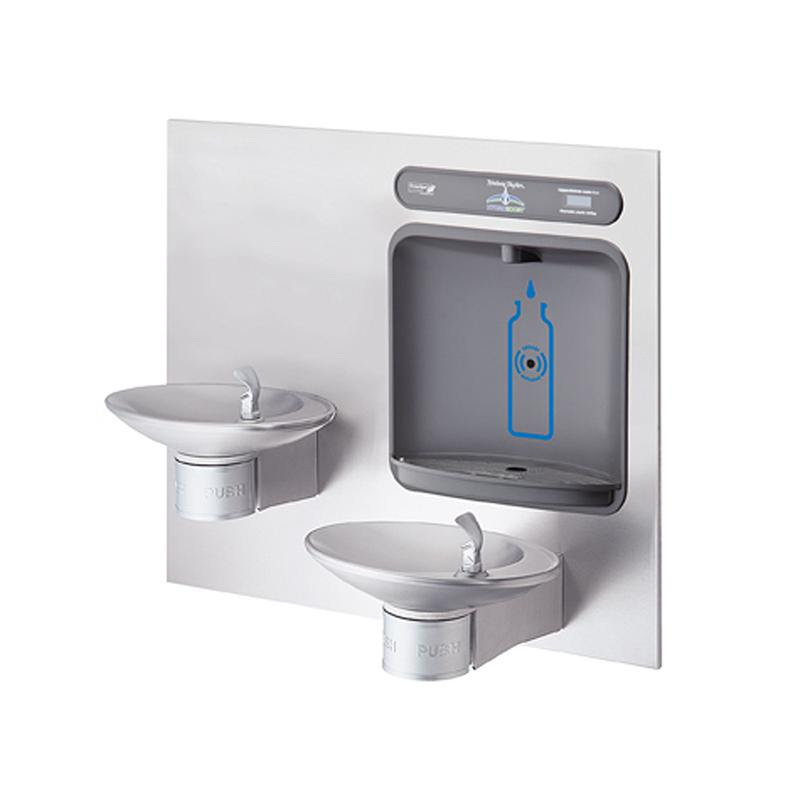 The higher drinking fountain has a cane detectable apron mounted below the leading edge which aligns with the 27″ required knee clearance of the lower drinking fountain. But sometimes the apron is mounted lower than 27″ a.f.f. 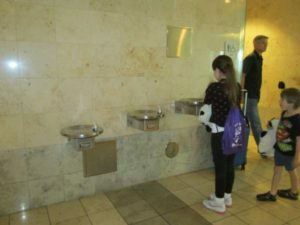 This would not be a problem for the high drinking fountain since it is primarily used by standing persons that do not require a knee space to use the fountain. 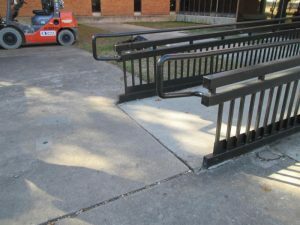 It is, however, a barrier for the person using a wheelchair because now the knee space that it shares with the second drinking fountain has been reduced to less than 27″ a.f.f. and not usable. 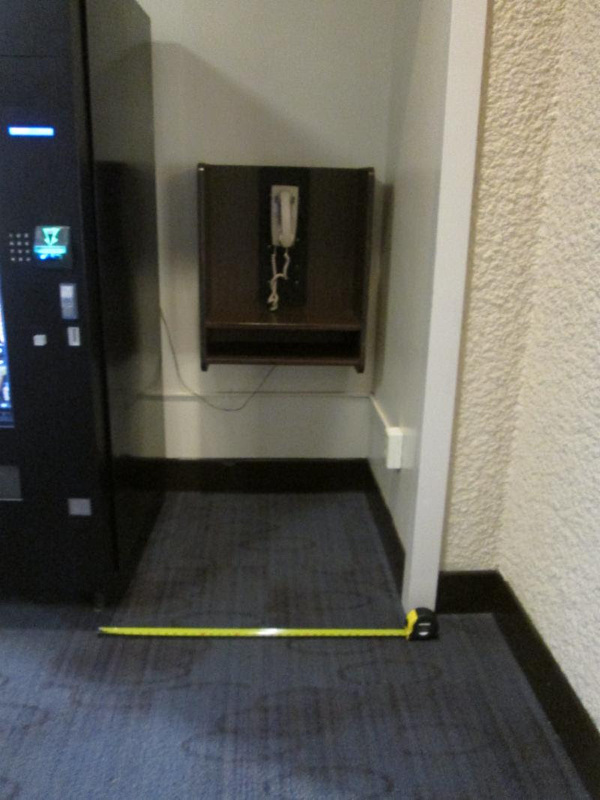 The cane detectable apron at the high drinking fountain shown in this photo was lower than the 27″ a.f.f. and it encroaches the knee space at the lower one. 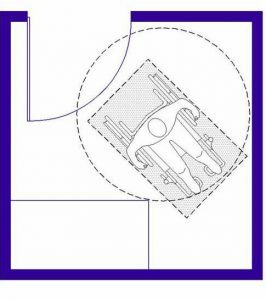 When locating a cane detectable apron keep in mind this requirement about the floor space needing to be centered. 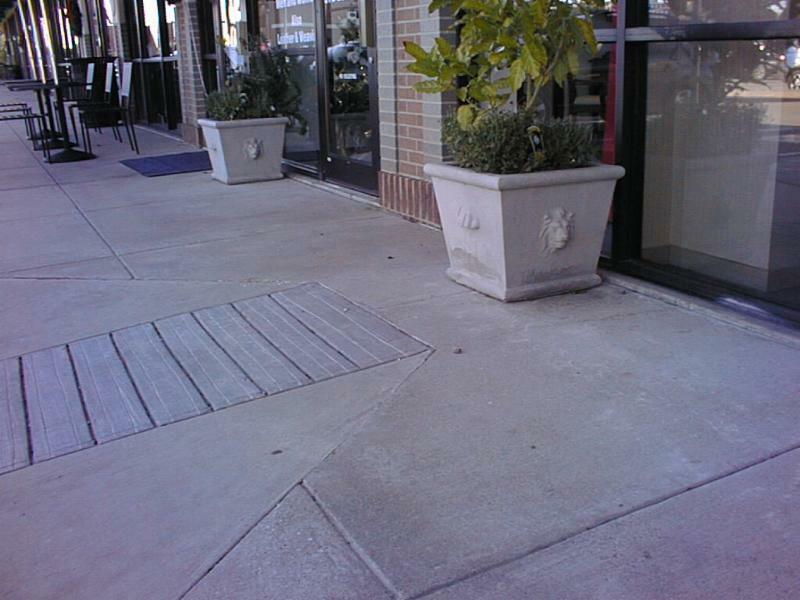 Any obstruction from the fountain adjacent must not reduce the knee space of the lower fountain.